Route. 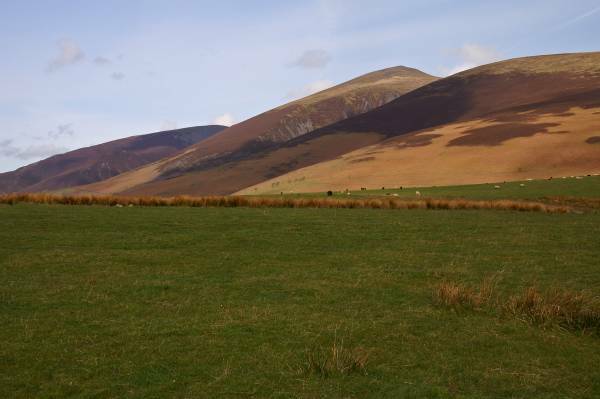 Latrigg car park - Whit Beck - Lonscale Fell - Flag Pots - Jenkin Hill - Skiddaw - Little Man - Latrigg car park. Notes. I planned to ascend Skiddaw today, after traversing under Lonscale Crags on a long walk in via Skiddaw House before ascending Birkett Edge to reach the summit, as it happened the weather was so nice I decided to get high early and stay high as long as possible, I would forget about Skiddaw House and Birkett Edge for today. 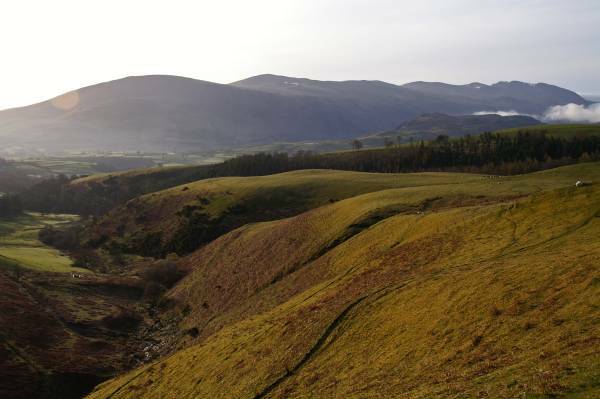 My day started in the car park behind Latrigg, headed into the hills on the tourist path, quiet at this time of the morning, at the path junction I took the right fork to ford Whit Beck before traversing the lower slopes of Lonscale Fell. After passing through a gate I turned left straight up the hill, following a fence line, the ascent was a real test of the will power of the legs, I stopped several times before reaching the summit of Lonscale Fell. Still following the fence to pass Flag Pots, then the summit of Jenkin Hill I soon reached the path I'd left at the bottom of the hill, from here it was a straight forward stroll across the slopes of Little Man through a gate to make the final ascent to Skiddaw's stoney summit ridge. Retracing my steps I left the summit, descending to the gate to follow the fence to the right, I was soon ascending the steep slopes of Little Man. 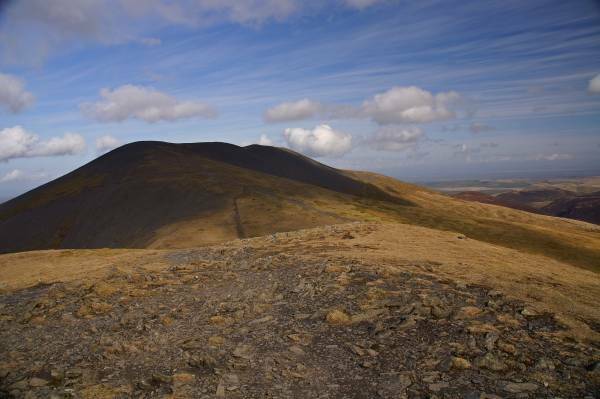 A short descent saw me back on the tourist path amongst the Sunday morning crowds all with their sights set firmly on the summit ridge of Skiddaw, my climbing over for the day there was lots of smiles and hellos as I made my way down the steep path back to the car park. 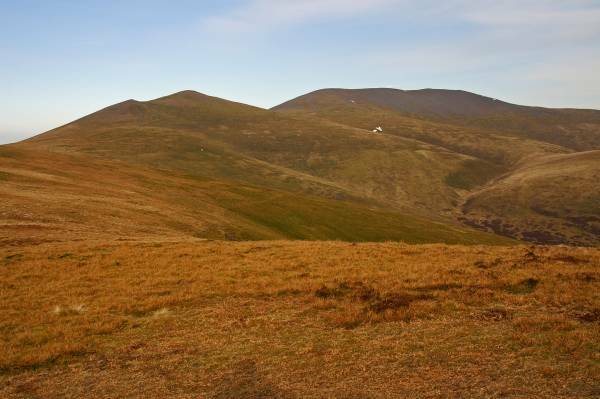 A stunning view to Clough Head and the Dodd's, I've not even started climbing yet. 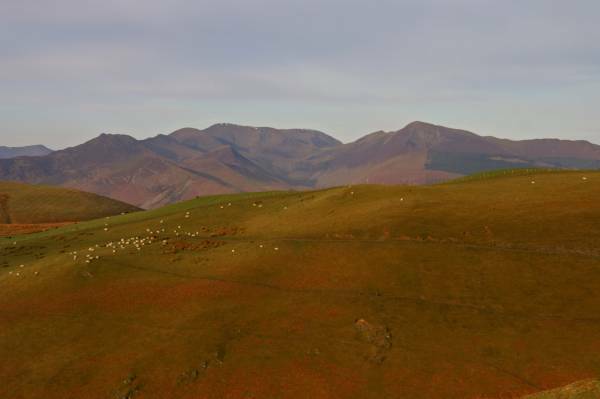 Views taken from above Whit Beck, Grasmoor to the right Grisedale Pike. 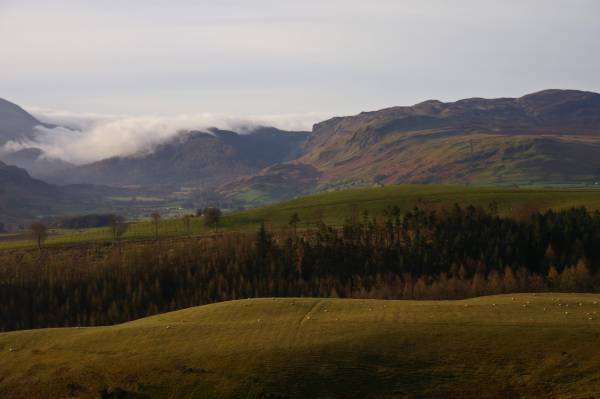 Cloud spills out of the Thirlmere Valley. 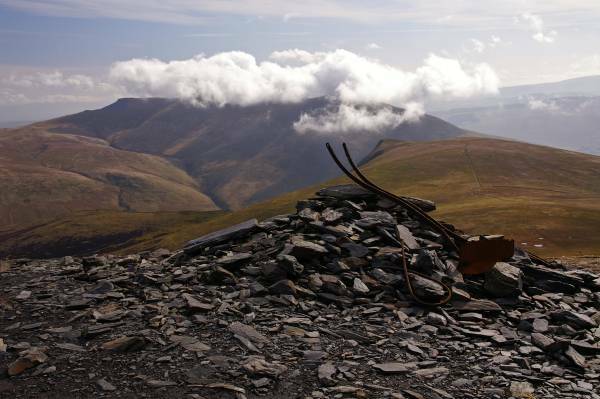 Taking a breather on the steep ascent of Lonscale Fell, looking to the Helvellyn massif, the Dodd's and Clough Head. 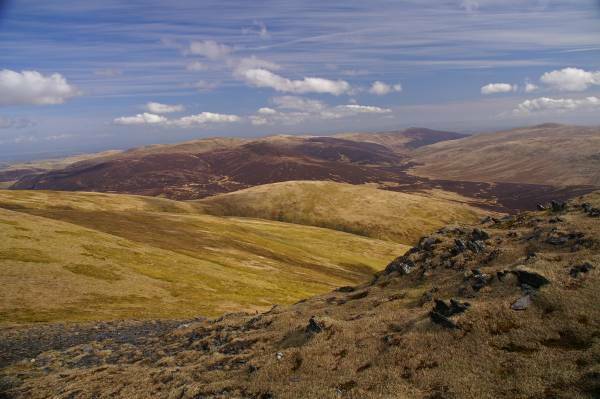 Above the precipitous cliffs of Lonscale Crags looking to the slopes of Blease Fell. 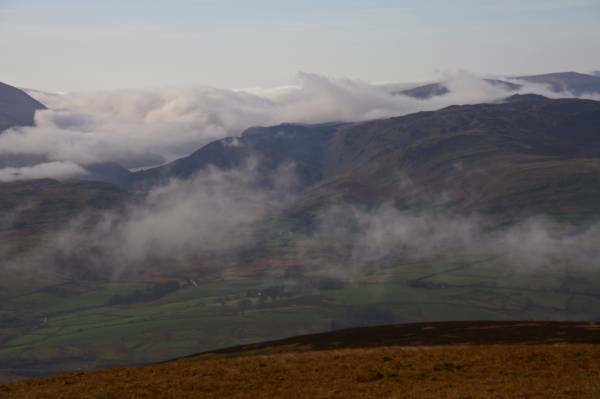 Soaking up the views from the small cairn above Lonscale Crags, Bleaberry Fell with a glimpse of Thirlmere under cloud. 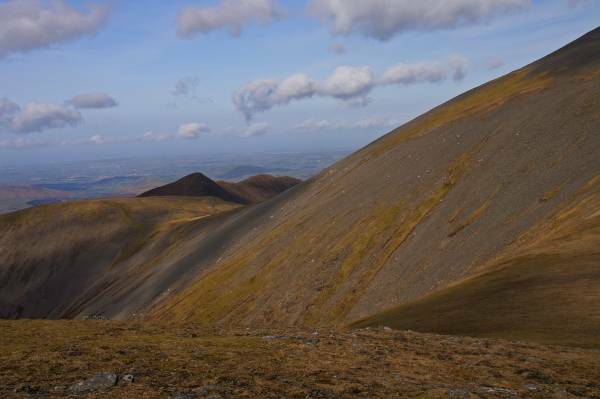 Views to the eastern slopes of Skiddaw. 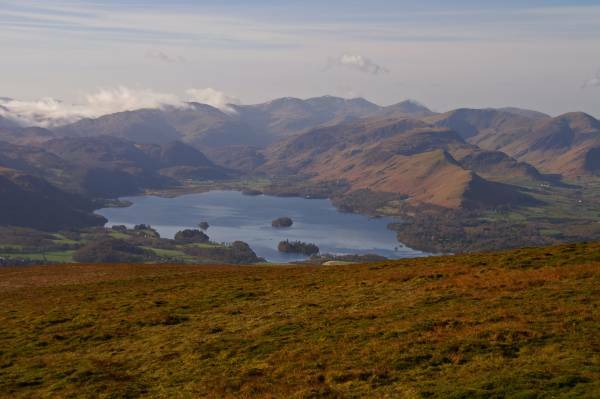 Stunning views over Derwent Water. 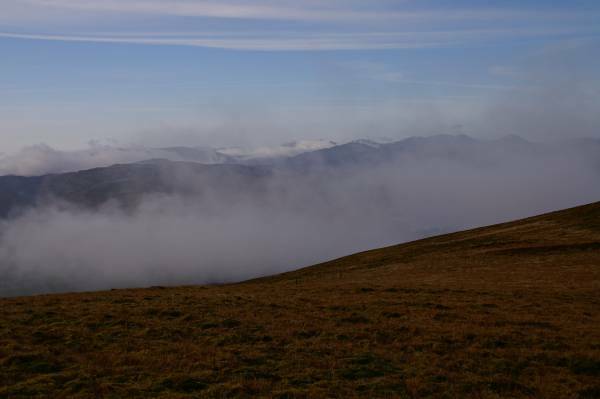 Cloud fills the valley of the River Greta. 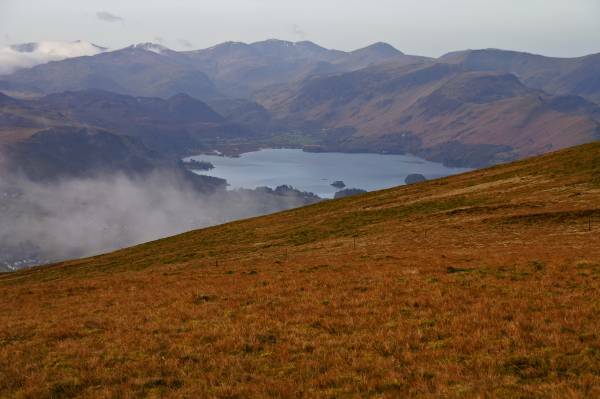 On Jenkin Hill looking to Derwent Water. 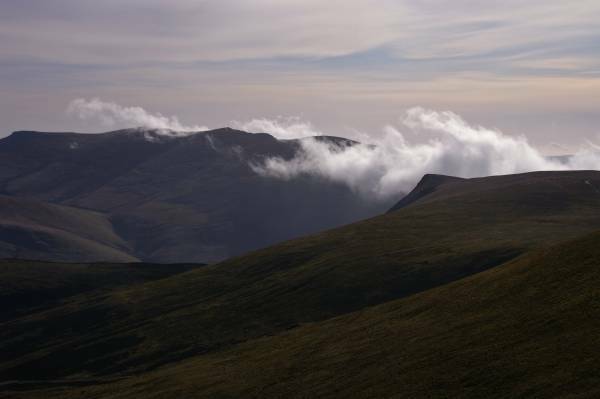 A striking view to Lonscale Fell with Blencathra to the left. 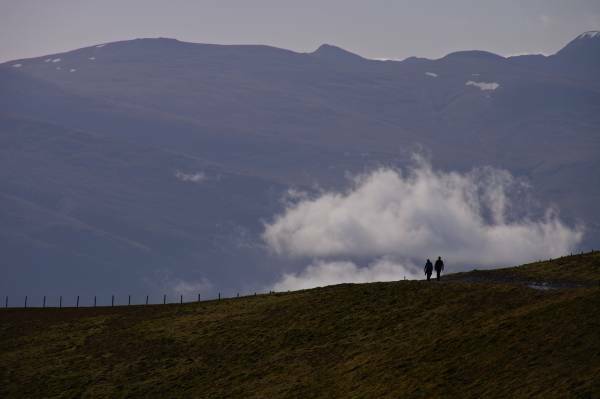 A moody image of walkers ascending the tourist path. 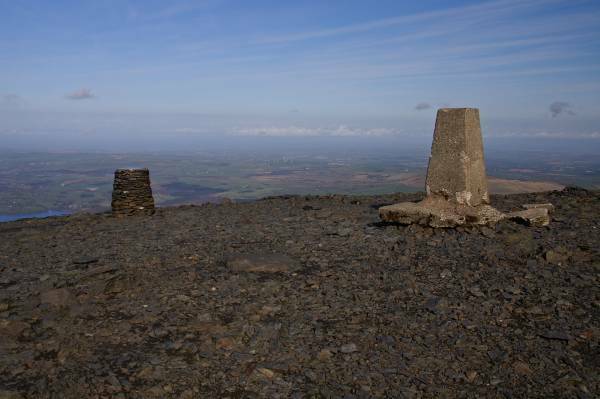 On the summit mighty Skiddaw with amazing views over the Solway Plane. 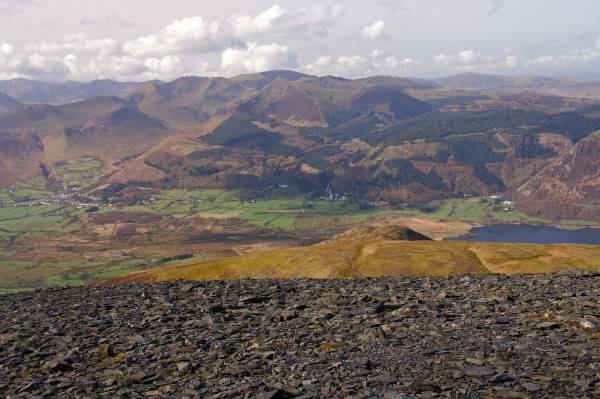 Views over the Vale of Keswick, the highest point on the skyline being Grasmoor. 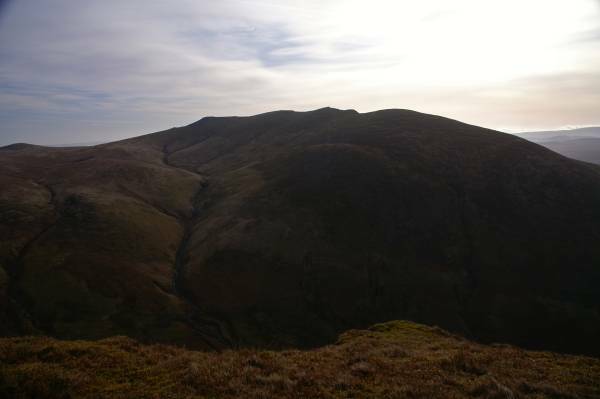 Longscale Edge and Ullock Pike seen over the aggressively steep slopes of Broad End. On Little Man looking to Blencathra. 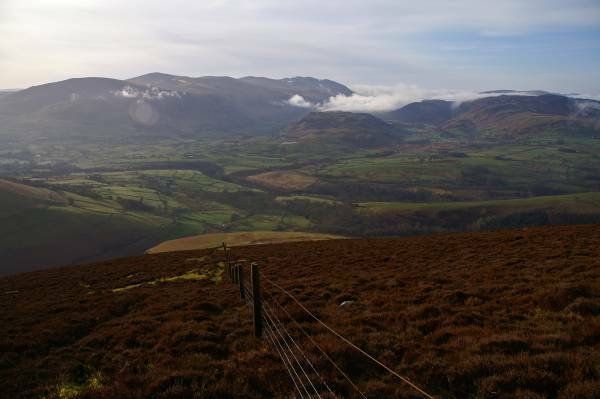 The scene over the Skiddaw Forest with Sale How in the foreground, on the skyline Carrock Fell. 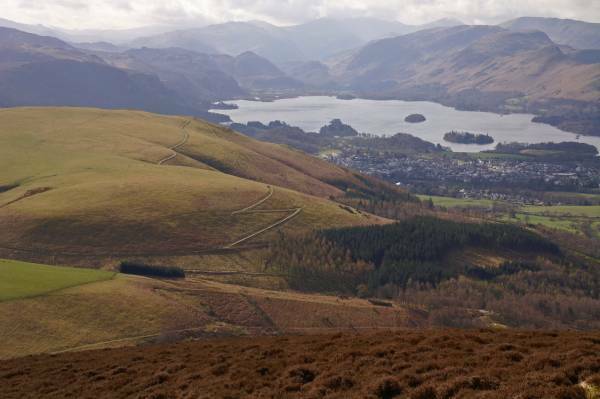 On the long descent from Little Man views over Latrigg to Derwent Water. A few paces from the car park looking back to hills climbed earlier in the day.